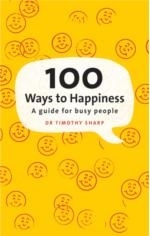 I was introduced to ‘Dr Happy’ (aka Dr Tim Sharp) through a mutual friend. I’d previously heard of Tim’s work and the great things he’s achieving with his Happiness Institute and so was keen to hear his thoughts on happiness and the enemies to happiness. 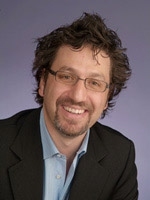 Tim is at the forefront of the exciting new science of Positive Psychology, and is one of Australia’s leaders in the fields of psychological well-being and happiness. He is a best selling author, highly sought after corporate speaker and appears frequently in the media. With a background in Clinical Psychology and a focus on Positive Psychology, he is immensely qualified to provide guidance and advice on getting the most out of life. I asked Dr Happy to share his prescription for happiness. Happy people set clear goals and determine clear and specific plans to ensure these goals become reality. So at The Happiness Institute we strongly encourage those we’re coaching to clarify their life plans – because no one else will do it for you! Health forms a crucial part of the foundation to happiness. It’s hard to be happy if you’re literally sick and tired all the time. So we strongly recommend those wanting to experience real happiness to do whatever they can to be healthy as this will also boost their chances of being happy. There’s no doubt that happy people think about themselves, others and the world in a fundamentally different way. Among other things, they actively dispute negative thoughts and purposefully search for positives in as many situations as possible. The good news is that this is something people can learn to do. A large component of happiness coaching involves teaching people to think optimistically and notably, to practice the requisite skills as often as possible. Research strongly indicates that happy people have both more and better quality relationships. 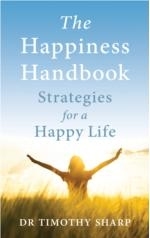 Happiness is not a solo or selfish endeavor as many mistakenly think. Rather, it’s a ‘team game’ in which happiness is derived from doing good deeds to others. Our philosophy is, therefore, to care for yourself but not neglect or ignore the needs of others. With this in mind we regularly encourage clients to make sure they devote time to developing and fostering key relationships. The past is history, tomorrow’s a mystery, and today’s a gift – that’s why they call it ‘the present’. Live in the moment and enjoy life more. Spend more time focusing on (and appreciating) what you have rather than worrying about what you don’t have. Be grateful for all the good things in life and spend less time thinking about the bad. These are key strategies and attitudes for happiness and recommendations that make up a large part of what we recommend at The Happiness Institute. I also asked Tim about the key enemies to happiness – what strategies, values, beliefs or behaviors destroy or limit happiness and joy in life? Lack of clarity. Too many people wander through life with no clear plan. Accordingly, they bumble along, sometimes finding happiness but more often than not finding themselves at the mercy of chance or worse... other people. Within this I also find that too many don’t ever seriously consider what happiness means (to them). As a result it’s very hard to achieve something (such as happiness) if you don’t know what it is in the first place! Poor health. Despite living in one of the most affluent countries in the world, with relatively easy access to fresh and healthy food and outdoor activity, a frightening number of people are overweight, unfit, and not getting enough sleep. Negative thoughts. Pessimistic thinking would have to be one of the most prevalent enemies to happiness. It is quite literally impossible to be happy if you don’t think thoughts that are consistent with positive moods. Unfortunately many people learn negative thinking patterns from their parents and further, many don’t realize they can actually change these. But they can. And if they do they can change their lives - for the better. Selfishness. It’s hard not to acknowledge that contemporary society has become somewhat selfish. There is, I believe, too much focus on ‘me’ and not enough on other people. Although I do believe we all need to look after ourselves this should not be at the expense of intimate relationships, family, community and society. People who suffer depression often report feeling isolated whereas happy people report a greater sense of belonging. There must be an important message in this and it is, for me, that excessively inward thinking is one of the enemies to happiness. Too much focus on fixing negatives and trying to address problems. Our education and organizational systems are, I believe, excessively focused on trying to address negatives. But what this does is focus us all on... negatives. The positive psychology research indicates that much more can be achieved by working towards the full and active utilization of positives, including core strengths.